You are here: Home › Who Has Access to My Personal Information? To the question of who has access to your personal information, the answer is…a lot of folks. In fact, a lot more than you realize. Are you notified when your personal information is shared? Some people would say “yes.” Not long ago, a lot of people would have said yes. For good or bad, it’s come to our attention due to Facebook and Cambridge Analytica that data sharing is more of a problem than people realized. In reality, the answer is “rarely” are you notified your data has been shared You may ask, “how can that be? Federal laws protect from the sharing of personal information. These laws also require notification when data is shared. Right?” That’s true, sometimes. However, the notification process for companies sharing your personal information doesn’t apply equally to all companies and industries. Be sure to get a report on your car insurance company. The data is finally available. Are they as good as their advertisements claim? The protection consumers have when it comes to their personal information depends on who collects the data, who shares it and how it’s shared. The following is a short summary for different types of personal information. When banks share your personal information, they must notify you. Financial institutions are subject to federal law that defines a common notification process. Because this is federal law, it doesn’t matter where you live. The notification process is the same. Financial institutions must comply with these requirements covering the notification process when a customers personal information is collected and shared. The disclosure is known as a privacy notice. Many consumers receive these privacy notices, regularly. When it comes to financial information, privacy notifications have created an awareness among consumers the information on them is being collected and shared. Insurance is regulated at the state level. This means insurance laws vary from one state to another. Therefore, when it comes to insurance, consumer protection laws vary by state. Nevertheless, most consumers’ assume they have a similar protection as the financial data collected by banks. However, that is typically not the case. With insurance, privacy notice laws are different. Federal law establishes privacy notification requirements. However, the requirements are incomplete by virtue of the fact they do not state the specifics of what must be disclosed. 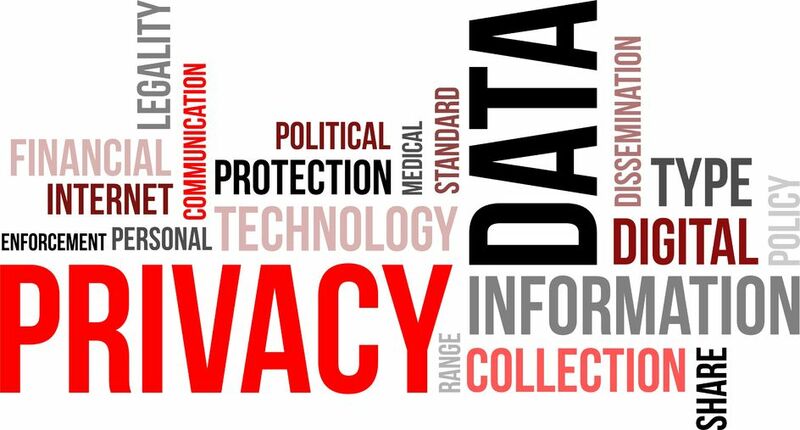 States must pass the laws defining the specifics of what is included with the privacy notice. Few states have detailed the requirements with which insurers must comply. Unfortunately, consumers don’t know a database of insurance information is continuously collected on them. Consumers also don’t know the data collected is shared within the industry. The data is available to any company in the insurance industry that wants to buy the information. Therefore, whether you stay with one insurance company, or move to another, they know your history. Everybody has heard of “big data,” but what does it mean? This data includes what you search for online, websites you visit, what you shop for online, what you buy, your contact information, where you work and of course everything you post online. There are now hundreds, probably even thousands, of companies collecting this information. While the industry has always existed, internet usage is driving rapid growth. This rapid growth is a direct result of the increasingly large amount of personal information available as web usage increases. “Data brokers” is the name given to companies that buy and sell data. The largest data brokers are pushing past the one billion dollar per yer revenue level. As an example, Axciom achieved a quarterly run rate of $245 million in the quarter that ended March, 2018. Axciom’s annualized quarterly income and growth rate indicate they will cross the one billion dollar threshold in the current fiscal year. According to CNN, the data broker business was a $300 billion industry in 2012. According to Transparency Market Research (TRM) the market is growing at a rate of doubling every six years. Based on estimates that 36% of the market is consumer data, personal information is currently worth $675, per man, woman and child, in the U.S.. That figure is expected to double by 2024. Pet owner. That’s not bad. After all, she is the cutest puppy on the internet. Mom or Dad. No problem. You’re proud of your kids. Single mom struggling financially. Now that feels like it’s getting a bit personal. Gambler. Also, not so cool. Whether banking, insurance or just personal information, there’s no opt out. Even if there were, would it work? I regularly put myself on “do not call” lists. While great in concept, it seems like a waste of time. The unwanted calls from humans and computers never seem to decline. For insurance information, get a “CLUE” report. Browse and shop in privacy mode. Don’t share anything you don’t want broadly known. Don’t log into any websites from an unsecured, public network. It’s not hard to setup a Virtual Private Network (VPN) so you can log in using an encrypted link no matter where you may be. Check the data that’s publicly available on you. The databases CLUE and A-Plus contain information about insurance claims. Surprisingly, even inquiries into potentially making a claim can show up in these reports. Even if you decided not to file the claim. This information may well be inaccurate and cause consumers financial harm. Check the Clue Report on you. It’s free. Just like you check your credit report, you should check the CLUE report to make sure it’s accurate. An inaccurate CLUE report can make insurance hard to et and much more expensive than it should be. Data based decisions are the foundation of the insurance industry. However, the data is asymmetric. The data that is readily available only characterizes the consumer. However, the reliability of the company is equally, if not more, important. ValChoice provides the big data analytics consumers can use to know more about the companies with whom they do business. This information is now readily available on auto and home insurance companies. That’s good news. Every consumer should know how reliable and trustworthy their insurance company is. After all, insurance is your last line of defense. If your insurance doesn’t protect you, most people would end up flat broke. Here’s how to find out about an insurance company you currently buy from, or one you’re considering. Click the button below for the type of insurance you want to check out. Note: ValChoice does not receive any form of compensation from insurance companies for grading them or presenting them as a good option in our car and home insurance reports.